I miss the laid-back attitude, the fact that people let you in when you signal, the friendliness of the west coast and how sunshine puts everyone in a good mood. Imagine never checking the weather report because it's always sunny. Who wouldn't miss that? So I made a little compilation of things you must do if you ever make your way over to the west coast for a visit. We couldn't get to everything, but this is more like a baby toe dip. Eat salad + pizza at the same time. 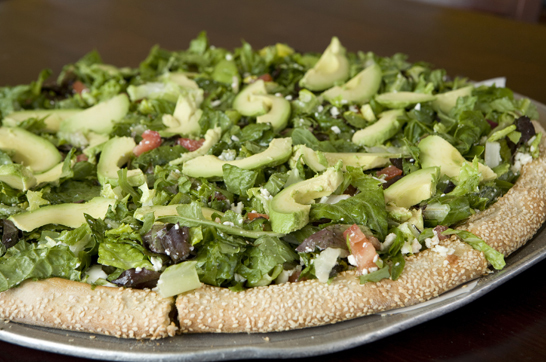 The salad pizza is a freshly tossed salad served on a pizza with a sesame bagel crust at Abbot's Pizza. Yes it sounds a little cray-cray, but it's delicious. Trust us. If salad pizza is not your thing, don't worry - Abbot's Pizza has about a zillion other flavours. Just make sure you savour every last bite of that delicious crust. Shop like a hipster on Abbot Kinney Blvd and you too can drop an entire pay cheque on a T-shirt. 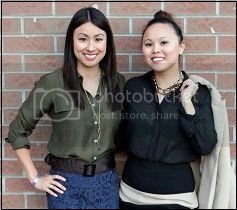 The stores can get expensive, but there are a few gems in-between and lots of style inspiration in the stores and on the street. 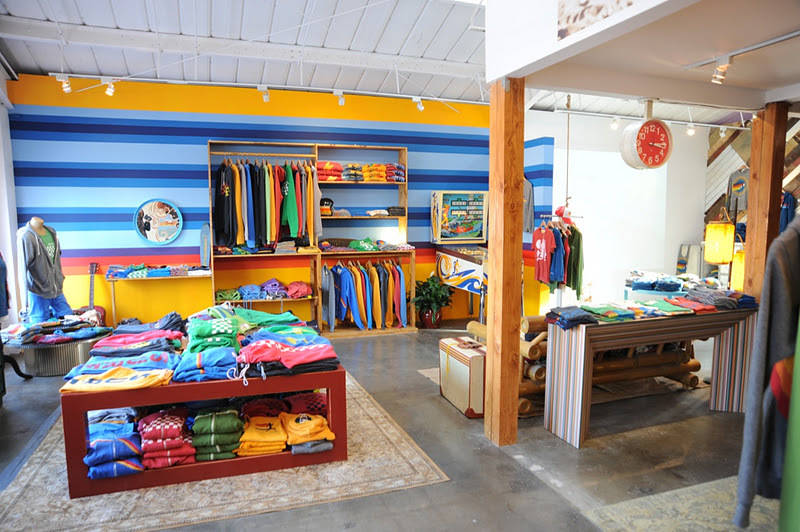 Highlights include soft designer hoodies and tees at Aviator Nation (above), Japanese trinkets and housewares at Tortoise - my sister spent a full hour in here...fawning over everything awesome. Sample the fragrances at Strange Invisible Perfume or pick up a cute and affordable dress at E-Cookie. 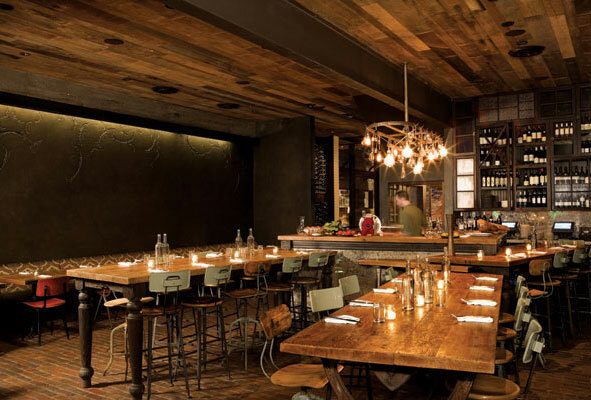 Brunch it out at what is likely one of LA's top restaurants right now - Gjelina. Brunch is your only chance because it's first-come, first-served. Otherwise, dinner reservations can be hard to come by. Think Moroccan baked eggs with chorizo and grilled bread or creamy burrata cheese over ripe grilled peaches. Heaven. 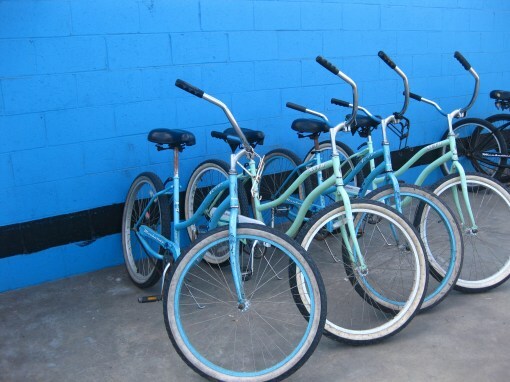 Rent a bicycle for an hour ($10) and go for a ride along the ocean on the very smooth and flat bike path,The Strand. Perry's Cafe has eight locations along the beach. 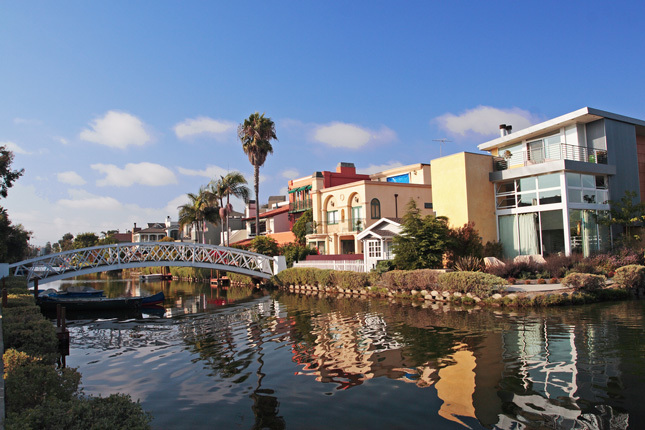 Start in Venice and work your way over to the Santa Monica Pier. Once you pick up your bike, make sure to head over to the old Venice Beach Canals. The sidewalks can be very narrow, so the best thing to do is to lock-up your bike and take your time strolling through this neighbourhood of foot bridges and waterways. You can often see the locals out on their row boats. Imagine living here! 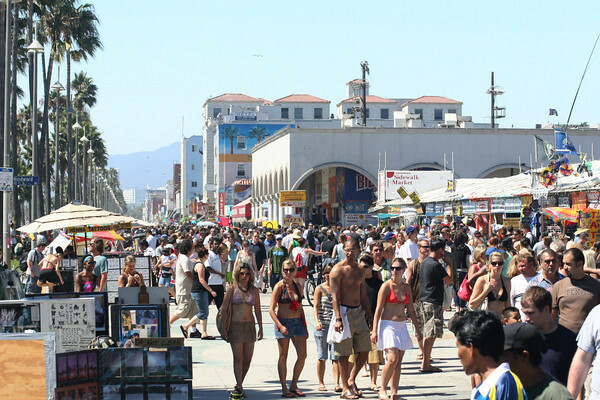 Stroll along the Venice Beach Ocean Front Walk for some eclectic entertainment and to shop like you were a teenager again. One morning meant rollerskating seniors rocking out to a boom box. It's that good. Grab yourself a homemade gelato from Nice Cream and watch the mad skills of all the skateboarders at the Venice Beach Skate Park. Gnarly dude! 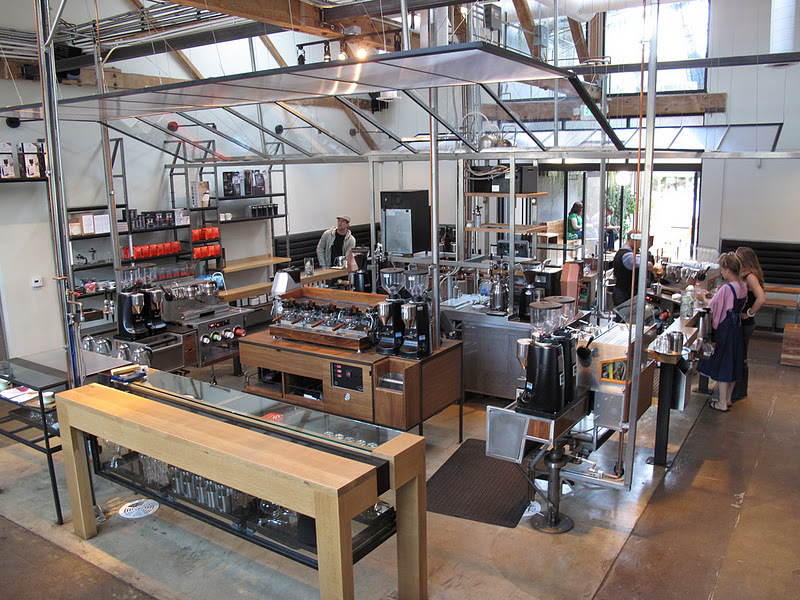 Check your email over coffee at the super hip Intelligentsia. Each cup is filtered fresh to order and it'll also cost you $5, but the espresso is the real star here. For more travel ideas on California - read our full series here. 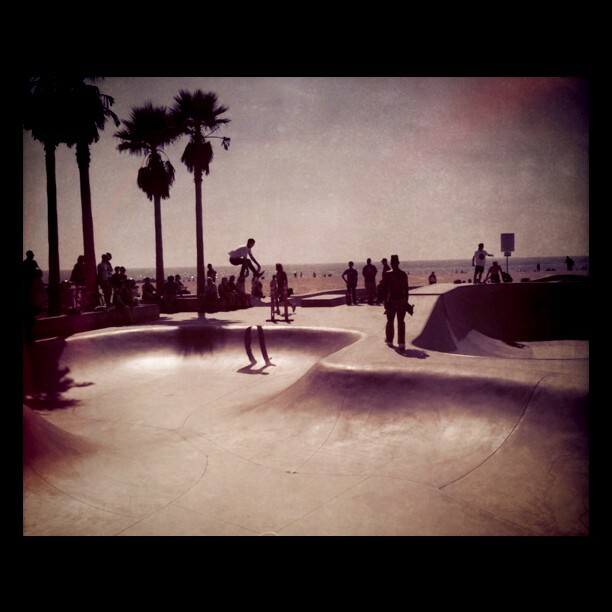 I absolutely adore Venice Beach! If you haven't checked out Manhattan Beach... definitely pay a visit there! The little shops/restaurants/cafes that's right by the beach is amazing. Let's face it... West-coast beats East-coast when it comes down to beaches!